Many people who wish to stop or reduce their smoking habit turn to electronic cigarettes as a way to achieve this goal. Cigarette smokers may find it difficult to quit the habit since it has a psychological and physical component attached, which may not be addressed totally by using nicotine patches or nicotine gum. Electronic cigarettes help them address the need for smoking and offer the feeling of holding and tasting a cigarette, which is part of the smoking enjoyment providing relaxation to some smokers. Each smoker is an individual, what works for one person might not work for another; however, electronic cigarettes can be the bridge towards your goal of reducing your smoking habit. Electronic cigarettes, or e-cigarettes, which are also one of the names that are often used, are electronic devices that usually look like real tobacco cigarettes. Of course, they can come in other shapes and colours as well – they can look like pencils, however, most people prefer something that looks like the real thing. This is the main reason why white e-cigarettes with a red tip that glows are the most popular ones. The first e-cigarette was made in China in 2003 and although it took manufacturers some time to put these products on the market, it didn’t take a long time for people to become extremely interested in them. As a result, there is a growing population that is now more than enthusiastic about getting and using these products. Of course, with the help of the Internet, the interest in these products is increasing very rapidly. An electronic cigarette is an electrical gadget that simulates a cigarette and produces a vapour mist that mimics a real cigarette, as well as the feel, sensation and nicotine flavour of a real cigarette. It works similar to a humidifier or a nebulizer, by using a glycerine solution or propylene glycol vapour. The vapour is created when heat or an ultrasonic feature vaporizes the solution, giving the appearance of smoke. This device was invented in 2003 by a Chinese pharmacist and was available in the UK in 2006. The device is also commonly known as an e-cigarette, e-cig or electric cigarette. Electronic cigarettes can look like an actual cigarette, a pipe, an elegant pen, a cigar, and come in many colours. Starter kits and other kits are also sold. Starter kits come with different degrees of nicotine content, so it is easier for smokers to adjust their smoking levels. In addition, starter kits come with battery chargers and even USB chargers to use with your PC or Laptop. Some kits come with carrying cases and with built in chargers to make it more convenient for consumers. Some models have an electronic chip which turns off the product in the event that a person will inhale over the nicotine limit, so users can be rest assured they will not over smoke on this type of model. Mini electronic cigarettes are also available as well as no nicotine cartridges. Top brands of electronic cigarettes include E-Lites, Prado, Smoke Star, Green Smoke, Blu Cigs, Vapour Pak, Luci, Absolute, and Ace. Some electronic cigarettes are disposable, but there are many models that can be reused by refilling them. A traditional model will have an LED light cover, a battery, atomizer with a heating element and a mouthpiece or cartridge. There is also the liquid component known as e-liquid, e-juice or nicotine solution. The special nicotine liquids are available in a huge range of non-traditional flavours such as chocolate, caramel, vanilla, cherry and traditional tobacco flavours, being a liquid they can also be mixed to gain the preferred personal taste. The liquid contains propylene glycol and vegetable glycerine solutions, ingredients that are safe as they are used in foods and are approved by the Food and Drug Administration – FDA. The FDA monitors the manufacturers of electronic cigarettes ensuring that the solutions and concentrations are according to the established regulations and that the devices are not being poorly manufactured. The solutions that contain nicotine are rated in different concentrations so consumers can adjust their use accordingly, this is a very convenient and goal oriented feature of the electronic cigarettes for people wishing to stop smoking harmful cigarettes. 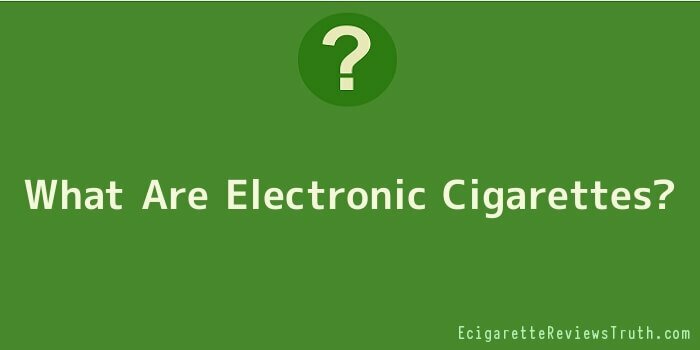 Electronic cigarettes are available in the US, UK and European markets and are totally legal. The long-term use effects of the e-cigarettes are unknown at this time, but more studies will continue to be made. In the meantime, electronic cigarettes are permitted as an acceptable method to help quit smoking altogether. All in all, when you learn more about e-cigarettes, you come to realize that there is nothing harmful about them. They are extremely user-friendly and they are more than capable of offering the sensation that people are looking for when they buy them.